New Mexican Food Santa Fe - The One Santa Fe Restaurant YOU MUST TRY! The New Mexican food Santa Fe is unique. Locals will tell you adamantly that it is “New Mexican” and not Mexican food, and they are very right. Similar, but with sublte differences. Vibrant, unique flavors and interesting textures permeated my meals while I was visiting Santa Fe. 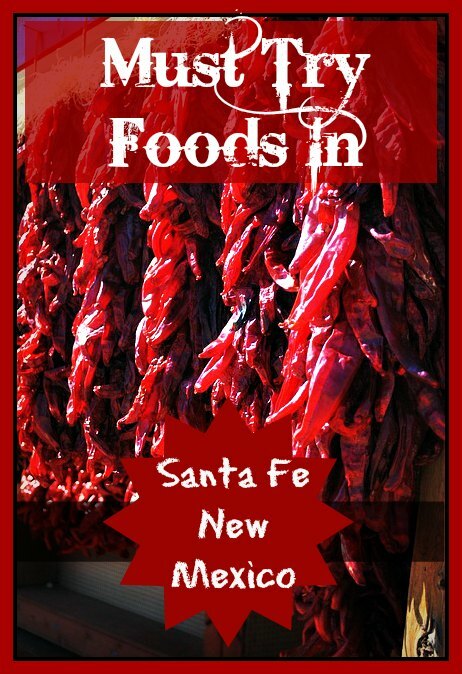 Here are some ideas about food in Santa Fe , New Mexico that will please your palate! Things to do in Santa Fe: Fun on Four Legs! 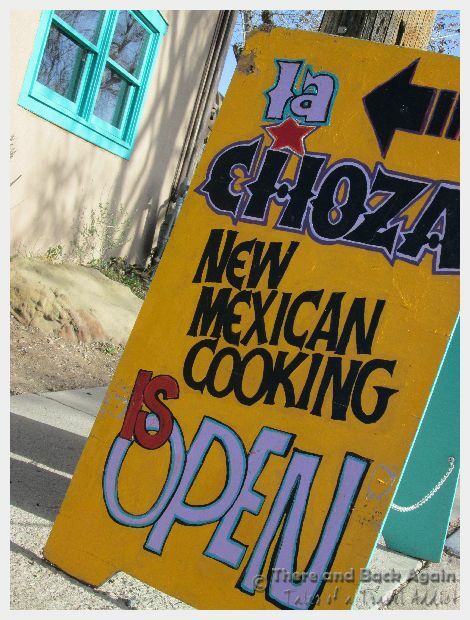 My meal at La Choza was a perfect introduction to New Mexican food Santa Fe. It is the sister restaurant to the popular Shed, located in the plaza in the historic district of downtown Sante Fe. 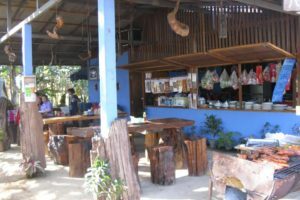 Unlike its older sister, this restaurant is laid back, easy going and has easy parking. It was recommended to us by fellow travel bloggers at Santa Fe Travelers who are experts on this unique and historic city (check out their blog for advice on planning trip to Santa Fe!). So, lets cut right to the chase. The food. New Mexican food Santa Fe has raised the humble pinto bean from something easily forgotten as one moves on to the main course to an experience to remember. The pinto beans were not like the refried pinto beans that you have come to expect in a Mexican restaurant. They were still whole, and cooked with some delightful spices that were just enough to give them some personality. 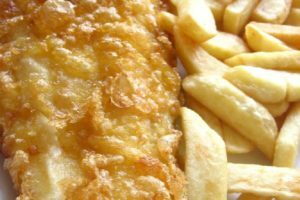 The texture was perfect – creamy without being mushy, melting in the mouth. I had never had posole before. 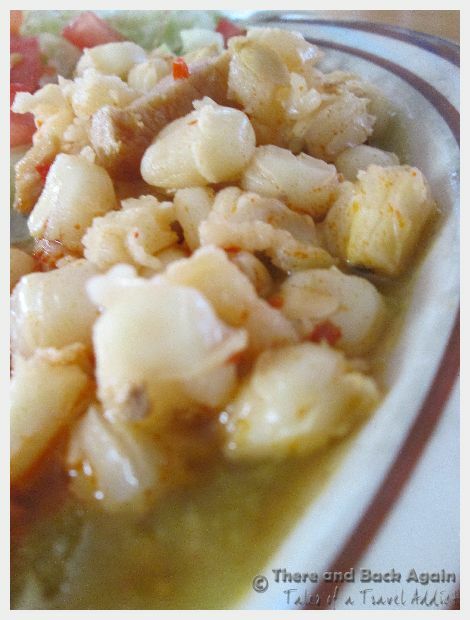 Posole is a traditional Mexican stew that is made of hominy corn (field corn soaked in lime, a traditional food preparation technique of many indigenous cultures) cooked with meat (usually pork or chicken), chiles and other spices. While it had its own unique flavor and personality, the earthy taste of the corn accented all of the other dishes on the plate perfectly. Bright red and fiery in both taste and appearance, the flavors of the Carne Avovada exploded like little fireworks on my tongue. 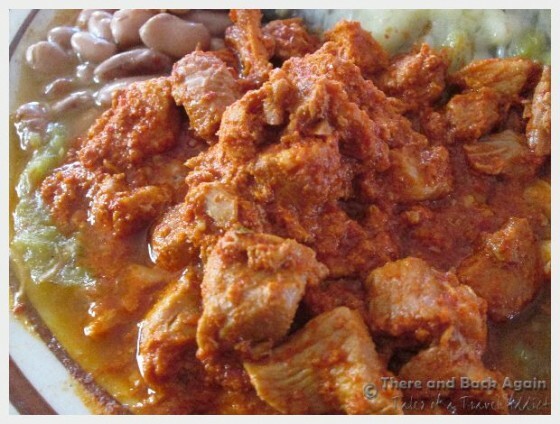 A stew made with pork or chicken cooked with a mixture of chiles and other spices until it is fall apart tender. It can be served on its own, or as a filling for enchiladas, burritos or other new-mexican staples. 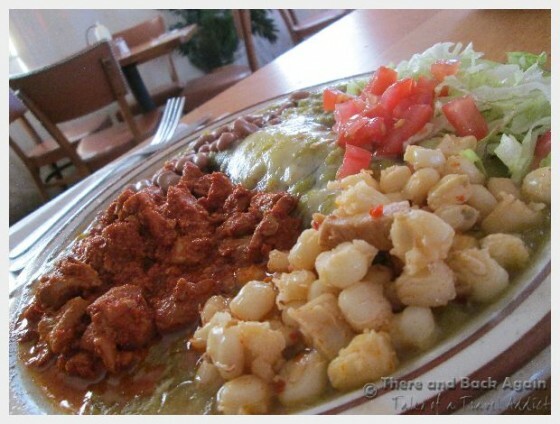 The pork on La Chosa’s Carne Avovada felt like it was melting on my tongue, giving a contrasting softness to the intense flavors of the chiles. What would a meal be in Santa Fe without some chile sauce? I opted for the green chile sauce, as the waiter had suggested that it was less spicy than the red. It came ladled generously over my blue corn enchilada. I think that the miraculous thing about chile sauce (and in my opinion, particularly green chile sauce) is its ability to meld and bring out the best flavors in any other food that you serve it with. When combined with the blue corn of the enchilada and the mild cheese that filled it, it was like a food symphony on my plate, all parts in perfect harmony. Chile sauce is served abundantly on most New Mexican food Santa Fe. It can be ordered red, green or Christmas (depending on the restaurant, the red or green chile sauce could be hotter). The perfect ending to this meal consisted of a little sweet to balance out the heat that was still lingering in my mouth – a sopapilla. 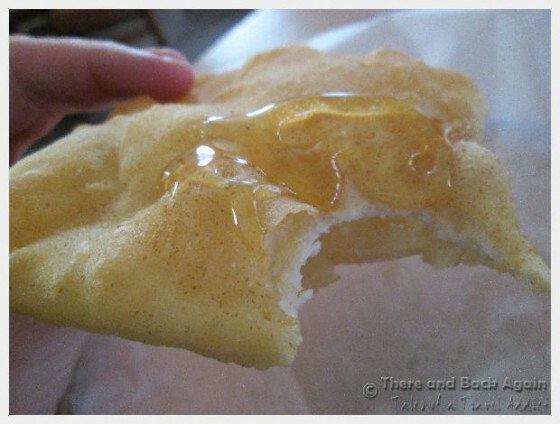 This is a fried bread that is typical New Mexican cuisine. It can be unsweetened and filled with savory fillings, or dusted with sugar and cinnamon and drizzled with honey. Mine was the perfect ending to a perfect meal of New Mexican food in Santa Fe. 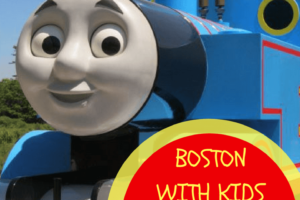 Next Post6 Reasons to Get “Off the Beaten Path” and Out of the Big City on Your Next Trip! Plus, I didn’t know you were pregnant. Congratulations! Mmmm – southwest food is so delish! We both like spicy food (especially Dale), we’ve recently become vegetarians so the pinto beans will defo be on our plates, do you know which vegetarian options were available? Congratulations! He or she will become a small traveler 🙂 for sure. Love the post. Sopapillas mmm looks good. I hope so! I am either hoping for a great little baby who lives travel, or at least that he will get used to it and it will just be a normal thing (I think travel is a lot more traumatic for babies who only fly once a year or so than for those that fly much more frequently). I love the idea of exposing him to different cultures, right from the beginning! We’re thinking about doing a western road trip this summer and food will be at the center of it, especially the spicy, Mexican-influenced cuisine you get in those southwestern states. Would love to do Santa Fe, Albuquerque, White Sands and Carlsbad and will definitely put La Choza on our list if we make it to Santa Fe. It was a great recommendation from my friends at Santa Fe Traveler blog…if you are heading to the area, check out their blog! It is packed with great info! I can’t wait to come back and spend more time! A weekend was definitely not enough! I looooove the food in New Mexico! We stayed in Albuquerque for four days on our South West States road trip and did a day trip to Santa Fe. I can’t remember the name of the restaurant we ate at but it was amazing! The food was great! I can’t wait to go back and visit some other parts of the state to sample more!